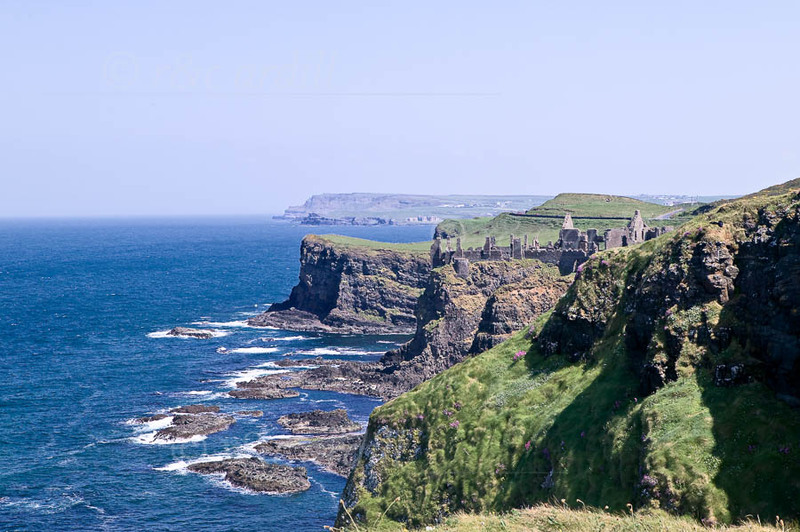 Photo of: North of Ireland: Antrim: Dunluce Castle. An image of the North Antrim coast looking East towards Dunluce Castle. The limestone cliffs of the White Rocks ends abruptly against a dark basalt outcrop which is majestically crowned by Dunluce Castle and joined to the mainland by an arched walkway. Underneath lies the ' Mermaid's Cave'. The castle was built Richard de Burgh or one of his chief followers during the Anglo Norman period in Ireland.